Star Wars 1313 was announced a few days before E3 started last June. We were fortunate enough to land a behind-closed-doors preview of the game. To put it in the simplest terms possible, we were absolutely blown away. Our preview, which you can read right now, explained that the game packed the Star Wars universe into a beautiful, character-driven experience akin to something like Uncharted. In this upcoming adventure, which has not been given a launch date or specific platform aside from the PC, gamers will play the role of a bounty hunter bound for the most dangerous part of the galaxy, level 1313 of Coruscant. 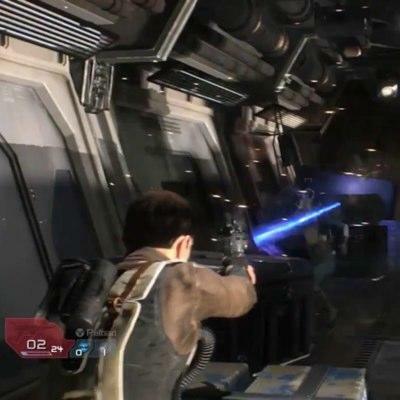 During an interview with Official PlayStation Magazine UK, as seen in the video at the head of this post, Creative Director Dominic Robillard explains why the game's hero is not a Jedi. Essentially, Jedi are too powerful and unrelatable in the Star Wars universe. By using an everyman, the game's creators are able to create more gripping moments of uncertainty and action. That everyman quality also translates to a more relationship driven approach to the Star Wars story. This game won't be about a Jedi mastering his or her powers in order to bring down full scores of enemies; instead, Star Wars 1313 will be the story of a single bounty hunter and his part in a much grander conflict. That personalization might lead to a more intriguing storyline for both gamers and fans of Star Wars lore. We'll have more on Star Wars 1313 as it comes. Can you believe it? A Star Wars game that looks this fantastic?